I've barely played The Sims 2 since it came out namely because I didn't much have the time, but in between Boston for U2 and Cape Cod for vacation, I decided I deserved some Sims time. Of course, instead of actually playing, I fell right into my old habits of building homes, shops, clothes, and celebrity Sims. The hardest one I've tried is Bono. I don't know why, but his features just don't lend themselves well to 3D. Anyhoo, here's my first attempt. 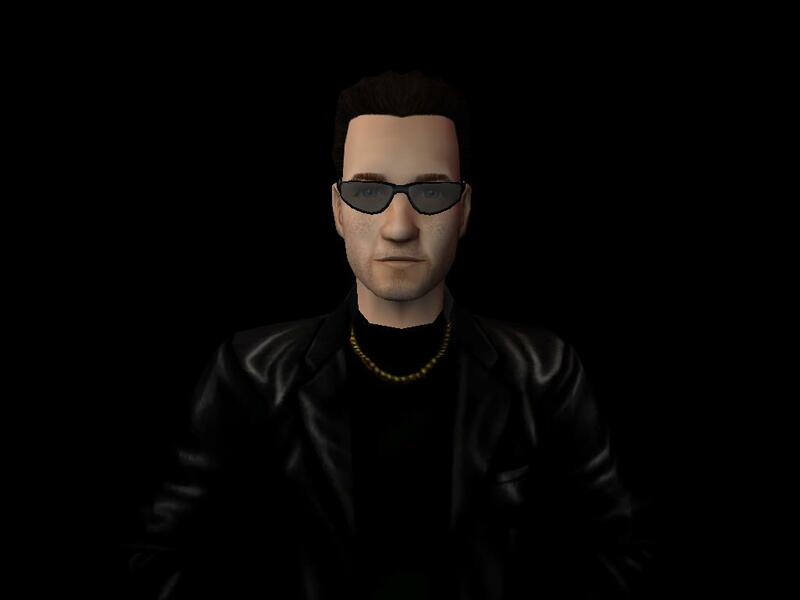 I may ditch The Fly for a younger Bono, perhaps the WOWY video version. Or I may just ditch the whole thing, as I leave in just a couple days and have loads of laundry to do...it's truly amazing how laundry multiplies like fruit flies.